I was introduced to Angry Birds last Christmas when I found my friend Adam playing the game on his android. Last week, I rediscovered it on facebook! But today, discussing how one needs to approach policy influence with colleagues at the Centre for Poverty Analysis (CEPA), I used angry birds as an analogy. First, let me explain the phenomenon. 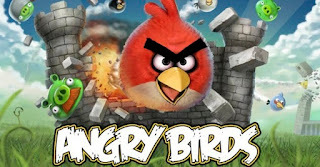 Angry Birds is a physics-based puzzle game in which you must launch a series of birds at structures in order to dispatch the evil green pigs hiding within. The swine have stolen the birds' eggs and it's up to you to get them back. The game is highly addictive, and you strive for the highest score and the most efficient way of completing each level. There are different birds to use, each with its own speciality and each with its own limitations.